Restoration and revival of the Downtown Dillon District has been a priority for property owners, businesses and the City of Dillon for a number of years. Recently updated Community and Downtown master plans identify improving walking and biking infrastructure as high priority goals as well. The City has indicated that the highest priority for making the Downtown more bicycle-friendly is providing parking. 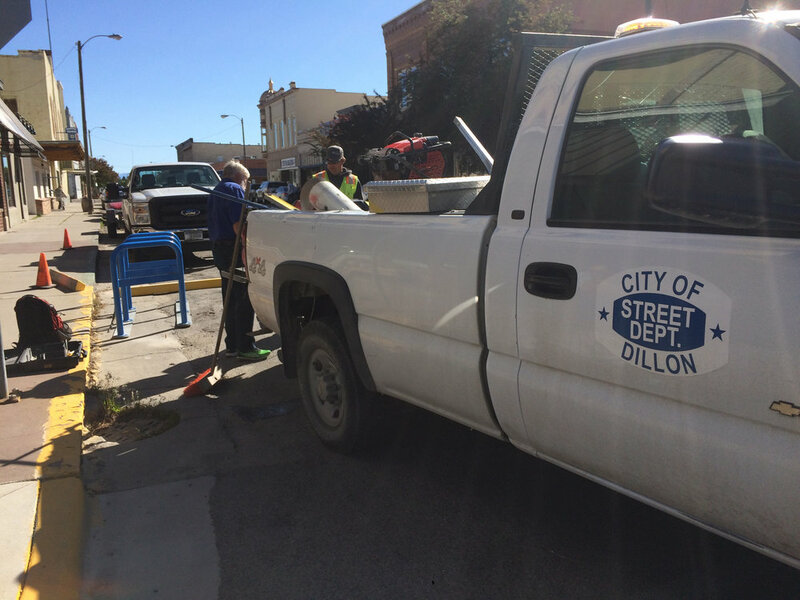 The Beaverhead Trails Coalition (BTC), in conjunction with the City of Dillon and consultation with businesses, bicyclists and other stakeholders, has initiated a project to provide safe and secure parking for bicyclists in Downtown Dillon. A test location has been installed at the corner of Glendale Street and S. Idaho Street in summer 2018. Following great feedback from the community and visitors to Dillon, between four and seven more clusters and corrals are planned to be installed during the summer 2019. 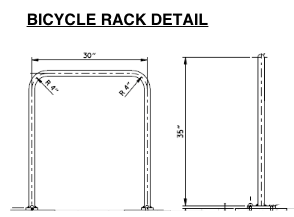 · $8,710 estimated materials cost (racks, concrete, parking blocks, signs, etc.) - most of which was raised with a Great Harvest Bake Days event in March 2018. · Improved safety for bicyclists parking, loading and unloading their bikes. The design of the corrals and clusters are inspired from the City Of Portland bike racks plans. Following feedbacks from the test location, spacing between each rack will be raised to 48 inches.